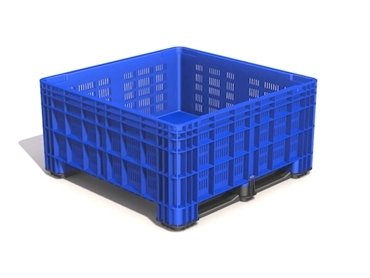 BB 560 vented collapsible bins are now available from Moreno Global Plastics . As standard, they are green, however a colour choice is available (conditions apply). BB 560 vented collapsible bins have a 320 kg capacity and a 470 l volume. Their Outer Dimensions are 1130mm x 1130mm x 560mm, while their Inner Dimensions are 1050mm x 1050mm x 425mm.